The best Half Ironman Triathlon Packing List! 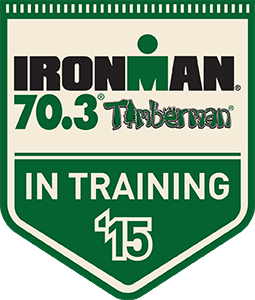 It’s Timberman Ironman 70.3 Weekend! Hard to believe its here. This race takes place in Gilford, NH on beautiful Lake Winnepesaukee. I am so excited to be doing my first Half Ironman in my home state of New Hampshire. Today we will be packing up the car and heading to our Air B’nB on Squam Lake for the weekend with my friend Olivia (also racing ) and her family. Tomorrow we will check-in and scope out the race course. I am hoping to get in the lake for a swim to check out the water temperature and to get into race mode. We will also hopefully get a chance to check out the bike course and the run course as well. I am so excited for the energy that the race weekend will bring and also to see all of the different ages and types of athletes who will be racing. There will be Pro Triathletes at the race as well as newbies like me. I am definitely ready to get there and to get going. I’ve had ants in my pants the last few days due to the taper and feel like I might jump out of my skin. I guess I am ready! 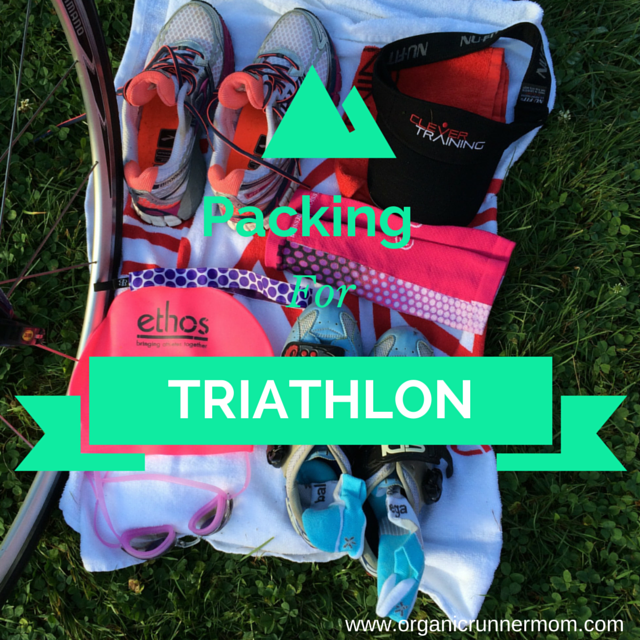 Now, if you are getting ready for a Half Ironman here is a list of packing essentials for race day! I’m sure that I’ve missed some things so please feel to share in the comments! 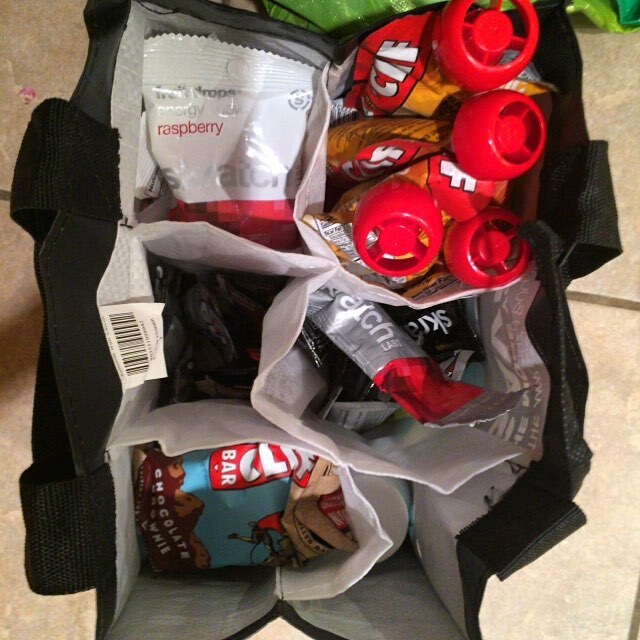 Race Day Packing Hack: Use a Grocery Store Wine Bag to organize your race day supplies such as food, tools etc. Packing for a race is always one of my biggest worries. I always worry that I will forget something or not pack enough so I tend to way overpack. You can never be too prepared right??? Ok, it’s time . . . I’ll be posting from the race venue from Perisocpe (@organicrunnermom) as well as instagram, twitter and facebook and will be posting a race report next week! Please follow along! My BIB NUMBER is 1480 in case you want to track me on race day. Race Day tracking will be LIVE on Ironman.com during the event! What are your race day must have items to pack for a triathlon (half ironman, Ironman) or running race (marathon, half marathon etc.)? Good luck with all of your racing this weekend! Great read, good luck! I doing Augusta at the end of September! So excited! Ahhhhh!!!!!! Good luck!!! Can’t wait to read all about it…and reading about Squam, Gilford and Lake Winni has me missing it up there!! !